The Institute has grown a lot in 17 years and has earned recognition and respect in the industry, academic and other public arenas. A key contributor to this recognition is each and every one of you who are our key ambassadors to the rest of the world. Our goal is to scale up from a 1,500 student university today to a 4,000 student university in ten years. This means not just more students, but also research across more domains and hence more impact. This requires a delicate balance between quality and affordability of education which can be achieved largely through philanthropic gestures from multiple sources, of which alumni can play a key role. The alumni fund was set up in 2006 as a modality for alumni to have a direct hand in helping the Institute grow. The fund has been used to provide tutition support for meritorious students in financial need. Tuition support – This is intended to provide access to meritorious students to an education in IIIT-H despite having inadequate financial resources. Donors will be able to name a scholarship if the donation is sufficient to support the complete studies of a student. Batchwise contributions can also be made to name different spaces in the Institute. For payment options and to give back, click this link. 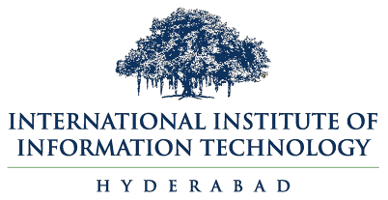 Thank you for your support of IIIT-H!